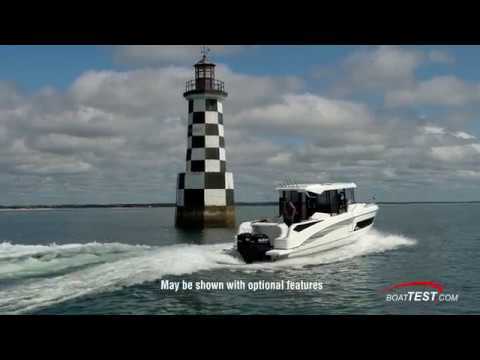 2019 Beneteau Barracuda 27 for sale in Burnaby, BC. M & P Mercury Sales Ltd. 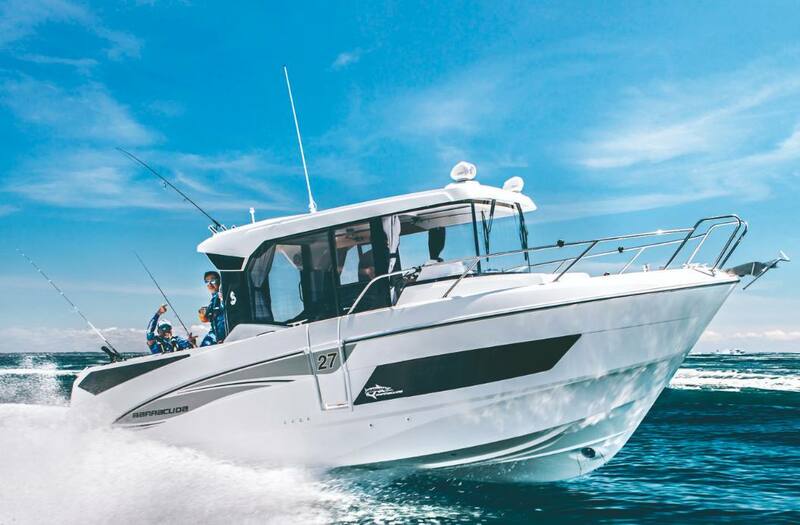 Exterior Design: With its 4-seat forward lounge, large walkways and protective pulpits, the Barracuda 27 delivers both safety and comfort. 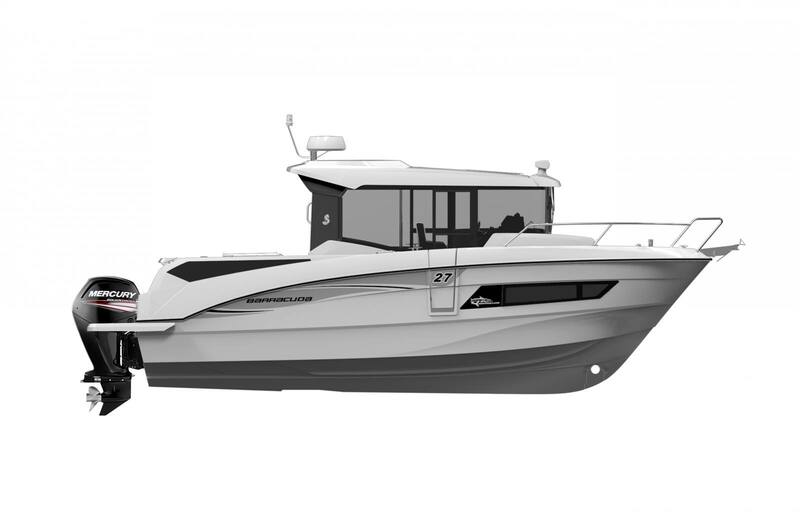 Her panelled freeboards promise comfort during fishing trips, while a starboard side access gate makes drawing alongside and climbing aboard easier. 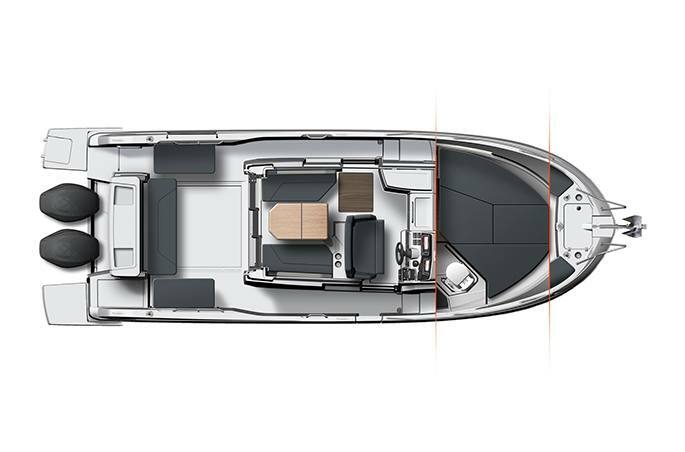 With the latest Airstep® hull, the Barracuda 27 is as comfortable to live aboard as it is easy to handle. Powered by two engines delivering up to 500 hp, two fuel tanks are available (106 or 158 US Gallon). 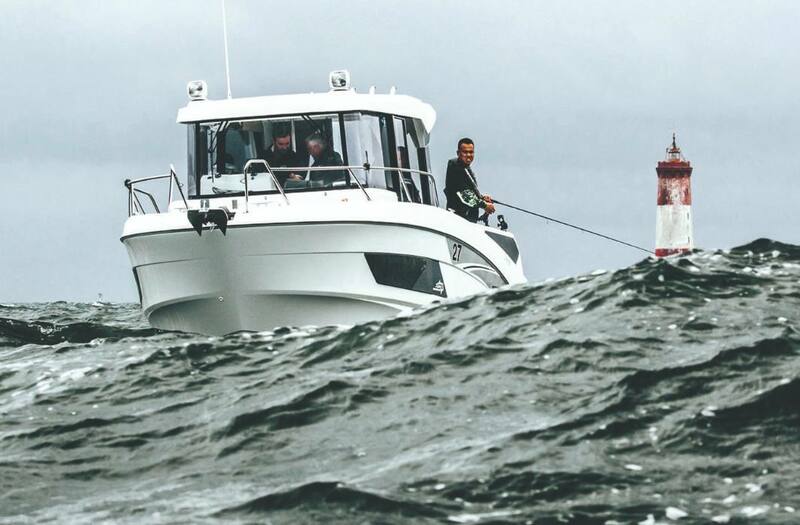 You can confidently put out to sea with up to 10 people on board (Category B6/C10). 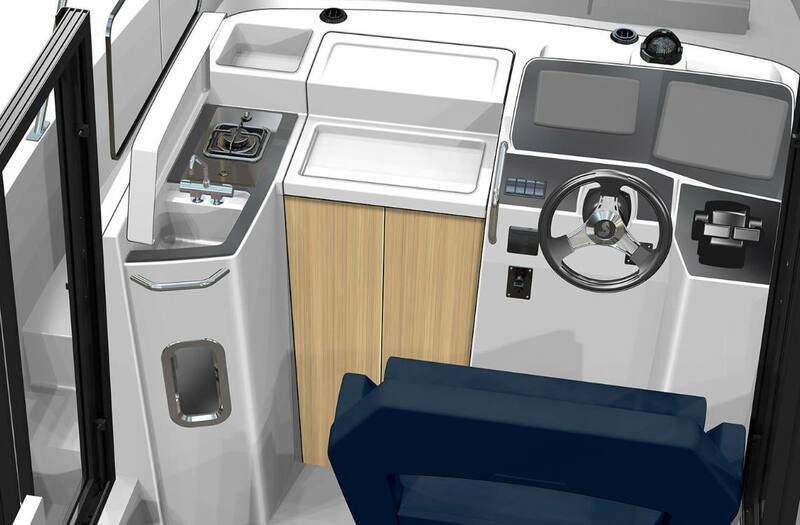 Interior Design: To the rear of the pilothouse, a large full-beam glass door provides good ventilation. The saloon is cleverly positioned lengthwise to offer facing seats, making movement inside easier. The galley is equipped with a large capacity refrigerator. The helm station has a two-seater bench and a large control panel that can house two screens. 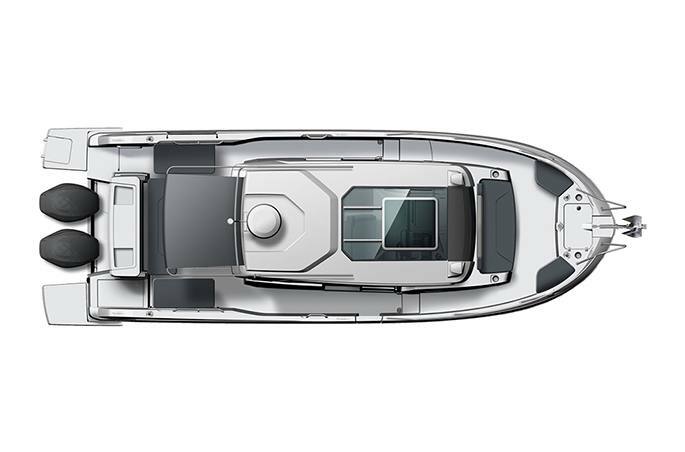 The door closing off the cabins provides safety for the co-pilot and separates the pilothouse from the other spaces. For enjoyable nights on board, the lower deck has a large cabin and a shower room, as well as a mid-cabin that can be used either as stowage space or for an extra double berth. 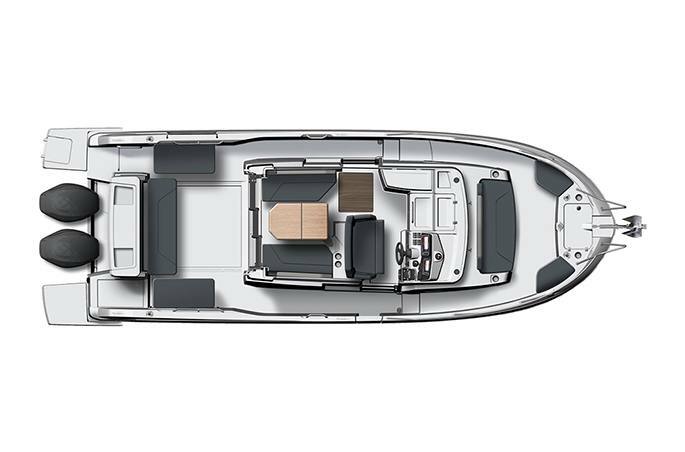 A Generous Adventurer: Barracuda, the ultimate boat for comfortable adventures at sea. 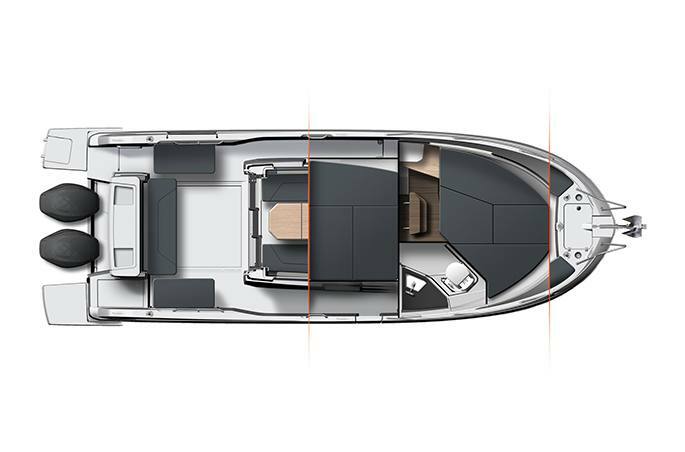 Clears the Waves: The Barracuda 27 hull cuts comfortably through the sea, combining fuel savings with high performance. 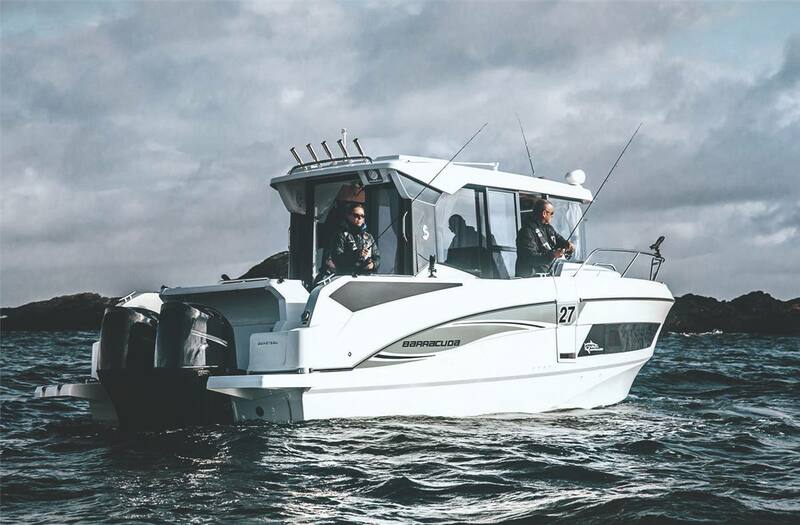 Fishing in Mind: The ergonomics of the Barracuda 27 have been designed to make movements on board easier, with an open, modular cockpit, large walkways, large glass door to the rear, side doors and access gate. Comfortable Nights on Board: On the closed lower deck, two double berths and an independent shower room mean you can spend the night at sea. You can also enjoy breakfast in the, thanks to the kitchenette and a spacious saloon! Length Over All: 27 ft. 1 in. Hull Length: 26 ft. 2 in. Hull Beam: 9 ft. 8 in. Fuel Tank Capacity: 2 x 53 US gal. Fresh Water Capacity: 42 US gal.